complete original nearly rust free straight 32 Plymouth PB Business Coupe that dang near runs!. In my opinion, a 32 Plymouth PB is far more beautiful than a 32 Ford, not to mention there were 8 Fords made for every one Plymouth, not to mention there are probably more "32" Fords on the road today than there was in 1932. 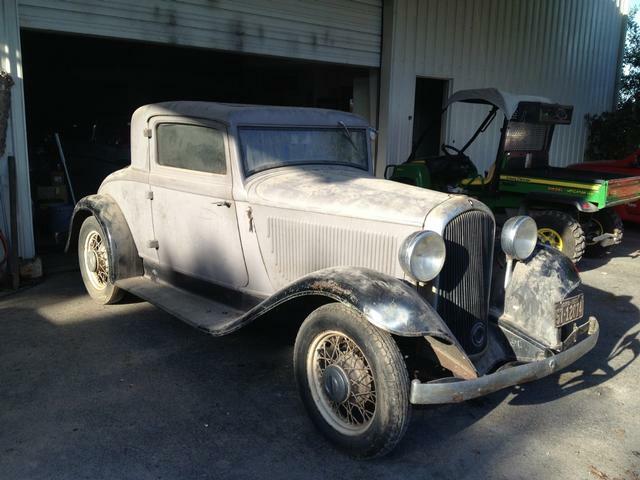 If this car were just another Ford in this original condition, it would be $40k plus. That makes it a bargain for $22,500, and it isn’t going to get any cheaper, and you can stand out from the herd. .